Compatibility: Requires iOS 8.3 or later. Compatible with iPhone, iPad, and iPod touch. 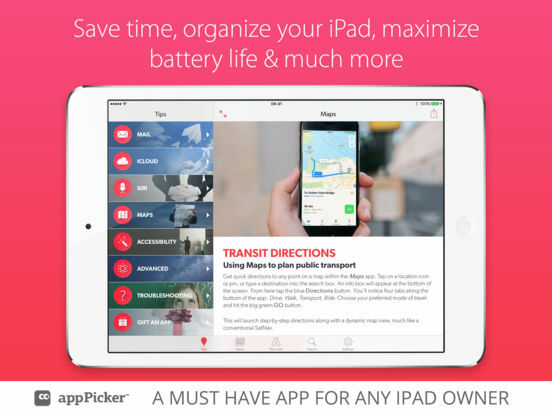 Updated for iOS 10 and now with 20 complete chapters and over 200 tips! As seen in Apple's Best Apps of 2012 & 2013. 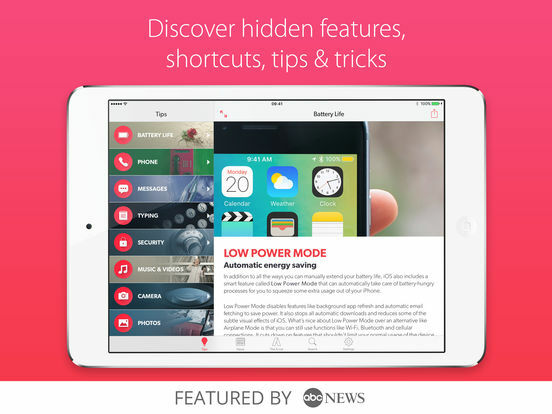 Featured by ABC-News, Aol, Yappler, Mobile Entertainment, App Advice and appPicker. Most people can use the iPhone straight out of the box, but miss out on many hidden features and secret shortcuts. To unlock all that potential and become an iOS power user, you need Tips & Tricks - Secrets for iPhone Pro Edition. 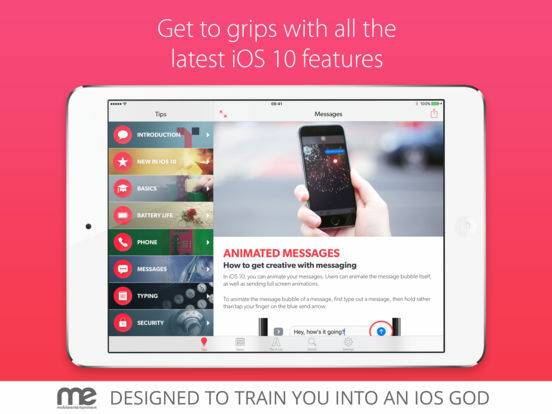 "This is no stuffy instruction booklet but an enjoyable, easy to follow & comprehensive jaunt through your iPhone. There are interesting things even old hands won't know but also, for the beginner, it is a gentle but thorough introduction. This is a FUNDAMENTAL app for me & one I return to regularly. Thank you Tips & Tricks!" This PRO Edition provides you with 20 complete chapters, and over 200 pages of easy-to-read tips, tricks, and secrets for everyday iPhone use. 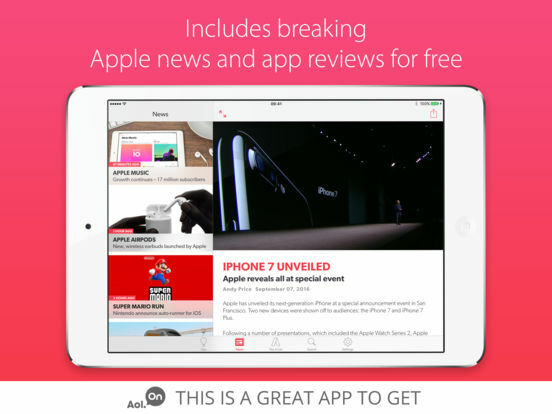 But with the latest update you’ll also receive regular new material – tips, how-tos, news stories and app reviews – for free. It’s our way of saying thanks for using our app. FREE news roundup delivered to your iPhone every week! Snappy tips that get straight to the point, all accompanied by images for clarity. Share your favorite tips via Email, Twitter and Facebook. Retina display graphics make the text and images crystal clear. Save time, work more efficiently and enjoy your iPhone more! 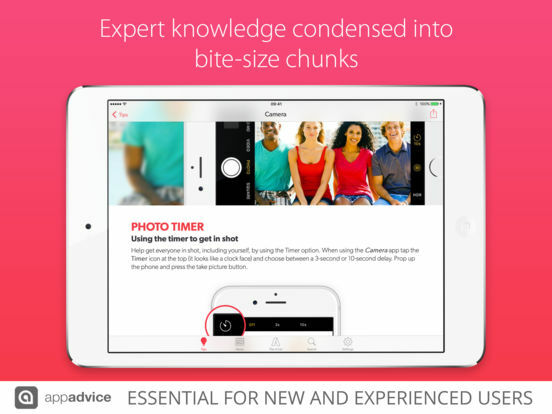 The app also works on an iPad, so you can read on an iPad while you try the tips out on your iPhone or iPod touch. 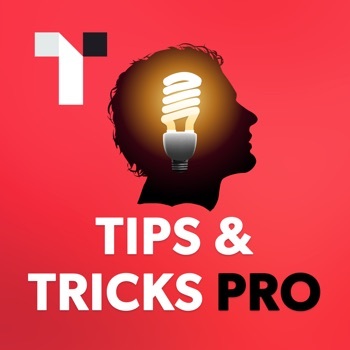 With over 10 million downloads, we already have a lot of happy users – here’s what people are saying about Tips & Tricks – iPhone Secrets..
With updates after every major release from Apple, you’ll never be left behind. So why not start mastering your iPhone today. 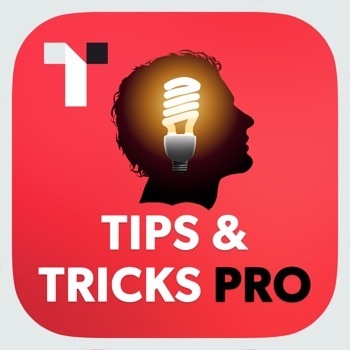 Download Tips & Tricks – Secrets for iPhone Pro Edition and become an iOS guru! With each new release our review count gets set to zero so if you’re a fan we’d appreciate it if you could write a quick review.